I´m always ridiculously excited to try new beauty products (preferably as natural as possible), and right now I`m impatiently waiting for the delivery of my latest order. First of all the one miracle oil to rule them all, organic coconut oil. A completely natural oil that makes your skin baby smooth, your hair soft and shiny and also contains acids that are antibacterial, antiviral and antifungal. A daily intake of coconut oil can also help with weight loss, boost your immune system and a bunch of other health benefits. 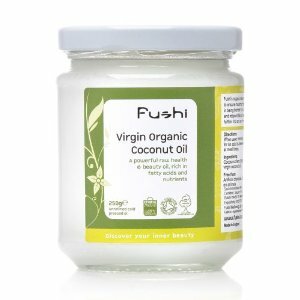 It´s a very popular ingredient/skin care product in the low carb community because of its amazing qualities, yet I´m still a coconut oil virgin, but after hearing so many positive things about it, I felt like it was finally time to give my dry winter skin some much needed lovin´. This one is from UK brand Fushi. Also I stocked up on some organic Castor oil, the current best friend of my skin and hair. I use it as a deep cleaning facial cleanser and also as a hair conditioner once in a while (although I´m a bit lazy with my hair most of the time). 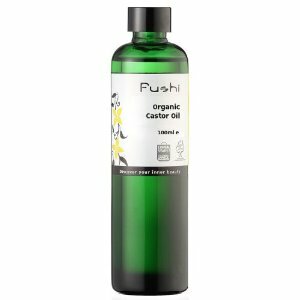 Castor oil also from Fushi. And last but not least, after a horrifying hair episode where there may have been a bleach and a dye too many in an attempt to get that amazing Jessica from True Blood-shade of red on my fragile scandinavian locks. I ended up with 10 different shades of red and a slight steel wool texture, so I decided it was best to go back to a more basic shade of brown and book an appointment with a hair dresser to chop off the evidence of my failure. So now I´m trying to make up for this abuse by investing in some good hair products. Believing the internet beauty gossip horse shampoo is the way to go! Yup that´s right, apparently there are some magical beneficial ingredients that do not come with human shampoo, that makes your hair softer, healthier and grow faster. 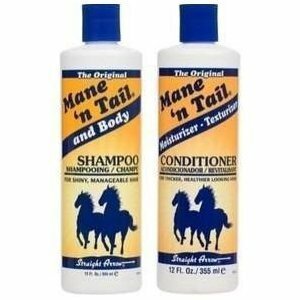 Mane N Tail (yeah that´s really what it´s called) is supposedly the mother of all horse shampoos, so here we go, one giant bottle of shampoo and conditioner added to shopping cart.